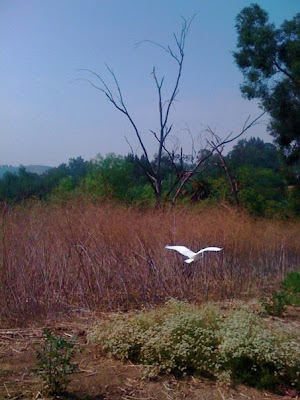 Rad egret seen in our hills the other day. Up in Debs Park. 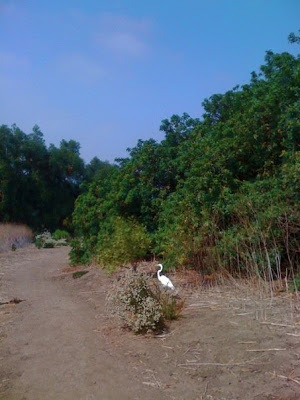 The super white color of the bird perfectly contrast the brown dirt and bushes of the summer. Lovely. Photos sent in by a neighborhood local. Thanks!